The Business Models for Collective Governance is the first of an international book writing series that crafts business models for national development planning in the developing countries of the world. The first publication is for the Philippines. This book has a special mission. It guides in building the structures and in installing the orders for the collective governance platform. It demonstrates the contents and the structures of the business models that serve as the building blocks of inclusive development enterprises. 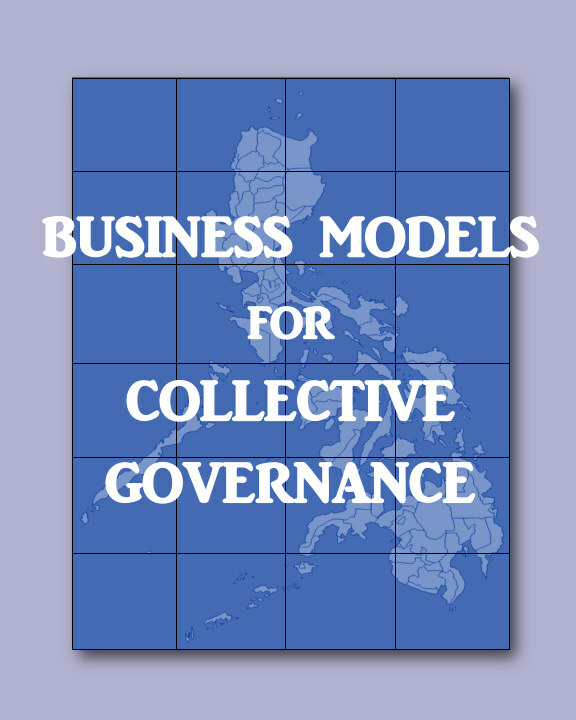 This compendium of business models for the Philippines is divided into six parts. Part I defines what is a business model; and demonstrates how it is applied in the private and the public organizations and provides alternative funding solutions, which include the establishment of rural infrastructure investment fund, translating foreign aid as foreign investment, and the reliable "Swiss private banker." These funding models, however, provide the mechanisms for leveraging the traditional international financing facilities that are available. Part II presents business models that build and maintain infrastructure vital to national development. Part III presents business models that follow the integrated community-based development process for specific industries in the Philippines. Part IV demonstrates the role of cooperatives in national development by setting up a national cooperative modernization direction focused on the crafting of cooperative business models. Part V demonstrates business models that apply education and training solutions to national socio-economic development problems. Finally, Part VI, the concluding part, integrates the business models into inclusive development agenda. The inclusive development models are fastened by the application of precise research and development tools for development planning and management, which transitions into the practice of the craft of collective governance. Eduardo D. Bacolod, originally from the Philippines, is currently residing in New York City. His educational qualifications include Bachelor of Science in Agricultural Economics from the University of the Philippines Los Baños and Master of Science in Social Development Planning and Management from the Centre for Development Studies of the University of Wales Swansea (Swansea University) in the United Kingdom as a British Chevening Scholar. His current professional interest and engagement are focused on fund generation for medium to the large-scale international development and humanitarian projects. As an independent consultant and a development planning author, in May 2003, he published his first works entitled Modernizing Philippine Agriculture, Model Farms for Agricultural Modernization, and Model Agro-industrial Infrastructure Systems. His most recent international assignment was the formulation of the national agriculture sector policy agenda of Fiji for the FAO of the UN.